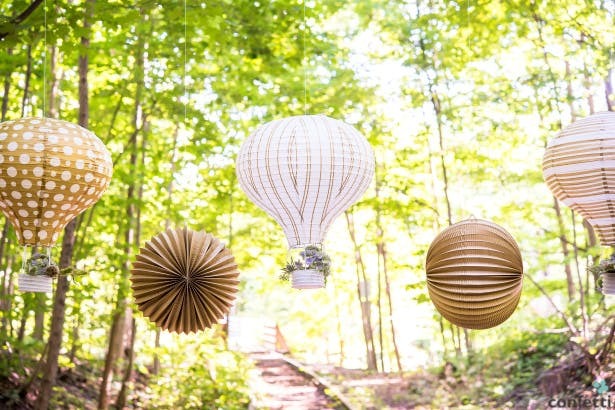 Each year Confetti.co.uk stays ahead of the emerging wedding trends and introduces stunning new wedding themes. Here’s a sneak peek at we have in store for you in 2015. 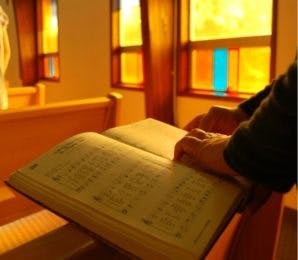 Today, we’ll show you a preview of our themes as well as some new products you’ll find in our shop after the New Year. Characterised by cool finished concrete and quirky light fixtures, this theme celebrates the urban lifestyle. Appealing to anyone who lives in the heart of the city centre or who has always wanted to, Industrial Luxe is a softened approach to edgy industrial features. 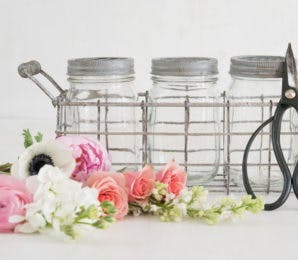 Designed with urbanistas in mind, you’ll find striking wedding decor accessories such as our wire frame light bulb garland and twisted fork place card holders. 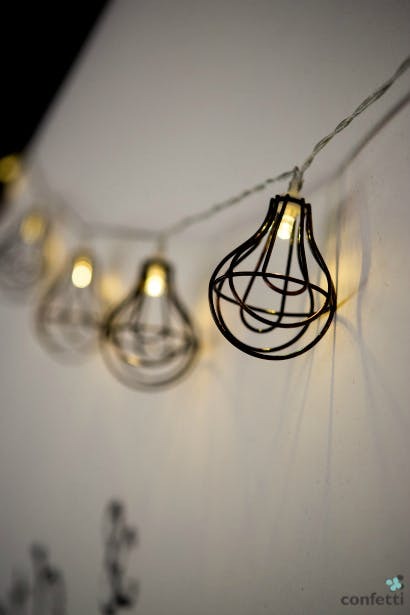 Drape our light bulb garland above any focal feature at your reception to inject a bit of urban sophistication in your decor. 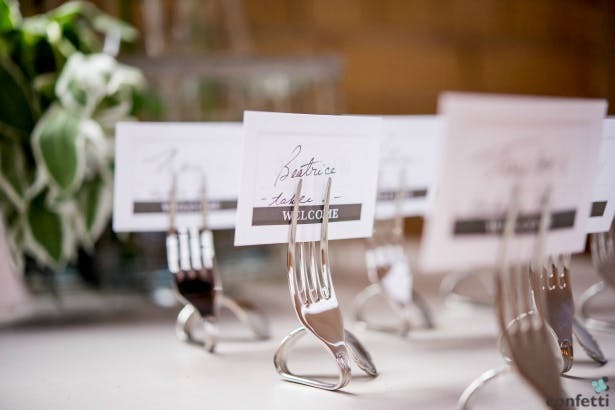 Quirky and cool, these gleaming fork place card holders will add a striking pop of industrial chic to your table setting. 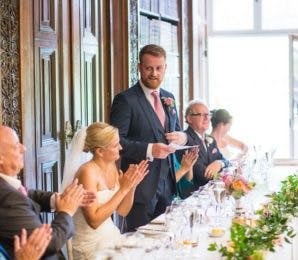 Simple & elegant: the Classic White wedding theme from Confetti.co.uk instantly adds sophistication to any wedding. Or maybe we should say re-introducing. 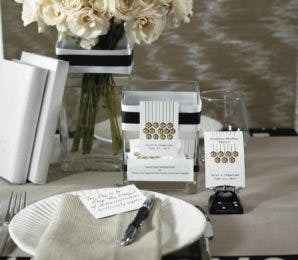 Classic white is a timeless wedding theme, an oldie but goldie that will never go out of style. But this isn’t your nan’s classic white wedding theme. Instead, we’ve taken the best, most traditional elements and have updated them for today’s brides-to-be. 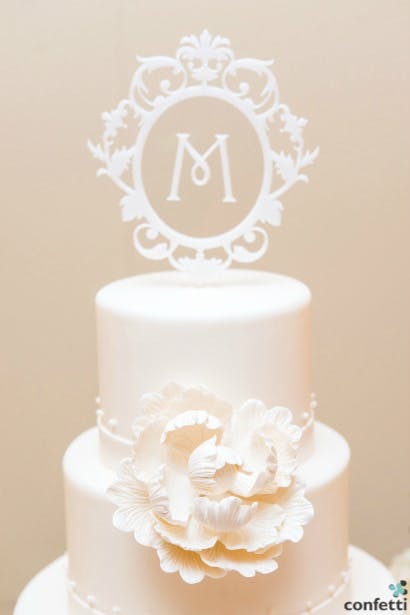 Sweet porcelain cake plates with scalloped edges are the ideal dish for nibbling wedding cake from and our monogram cake topper is an elegant nod to the past. 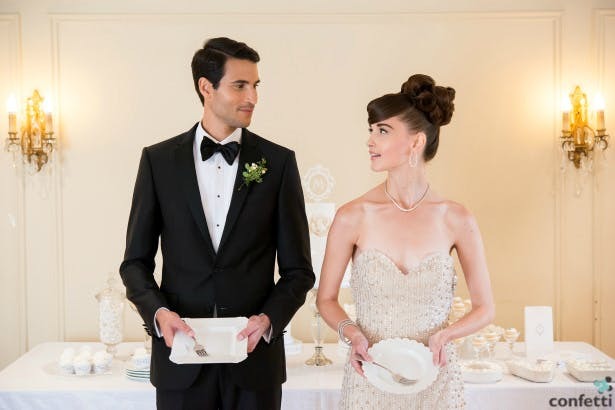 Pair our classic white decor with a sweet-but-simple wedding gown, a classy up do and sophisticated pearls for an updated classic look. 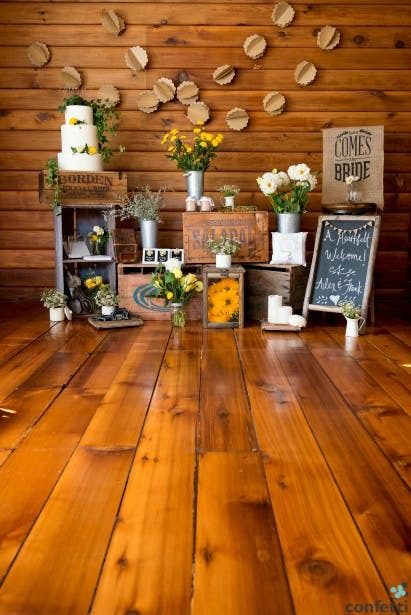 Our Boho wedding theme is ideal for brides looking to blend elements of our rustic, shabby chic and vintage themes. 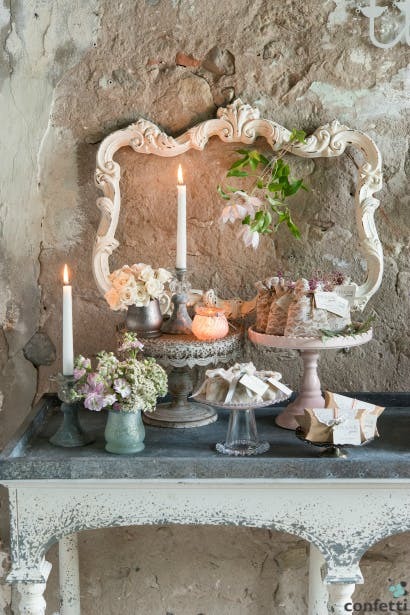 A step above our already-popular Shabby Chic theme, Boho is shabby chic meets vintage. 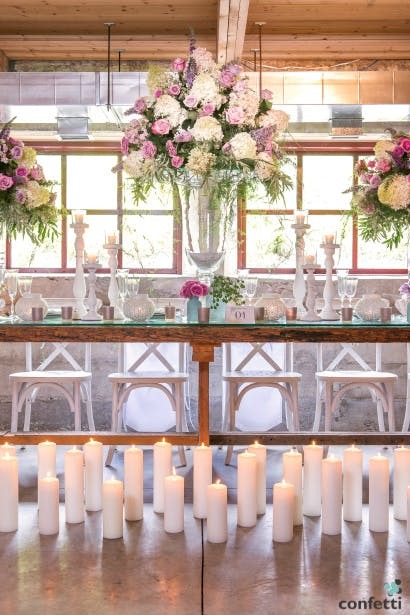 Characterised by big blooms and florals, creamy white pillar candles and a quirky urban-meets-country-lass vibe. 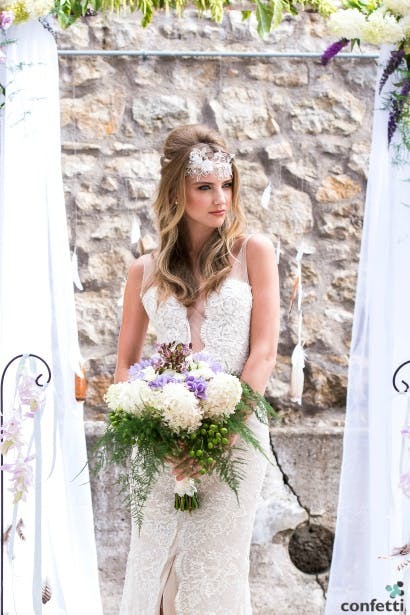 The Boho bride is edgy and in tune with nature. Loves bold prints and aged, delicate features. 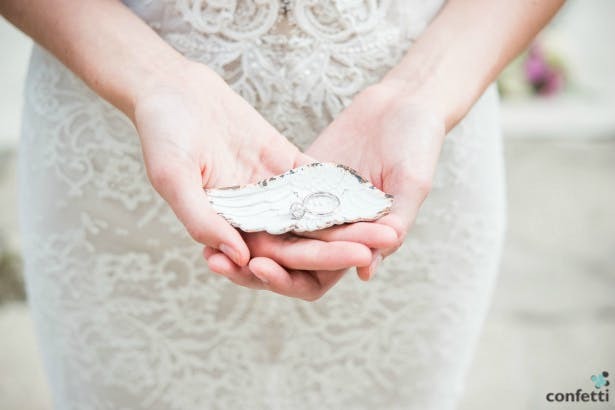 Get ready to shop our Boho range for stunning personal touches to your ceremony like our weathered white wing ring plate and kick the traditional ring bearer’s cushion to the kerb. Come back in 2015 for new products in our Shabby Chic range. Come back in 2015 for new products in our Rustic range. Come back in 2015 for new products in our Wanderlust range. Can’t wait to get your hands on our new themes? 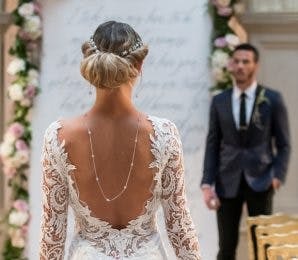 Be sure to pick up your free copy of the Confetti.co.uk magazine, look book and inspiration guide from any of The National Wedding Shows in 2015! Won’t be attending a show next year? You’ll be able to purchase the magazine from our shop.